The Compass is a unique model in the compact crossover SUV segment, setting itself apart with outstanding interior and exterior style, commanding off-roading equipment, and a load of advanced safety features. Plus, there are four marvelous trim levels to choose from in 2019, offering a little something for every kind of driver. This SUV comes into the 2019 model year with new package options that you are going love! They come loaded with features that will take your adventures to the next level. We have so much more to tell you about this incredible SUV so keep reading down below! What kind of features will I find in 2019? The Compass trim levels for the 2019 model year include the Sport, Latitude, Trialhawk, and the Limited. 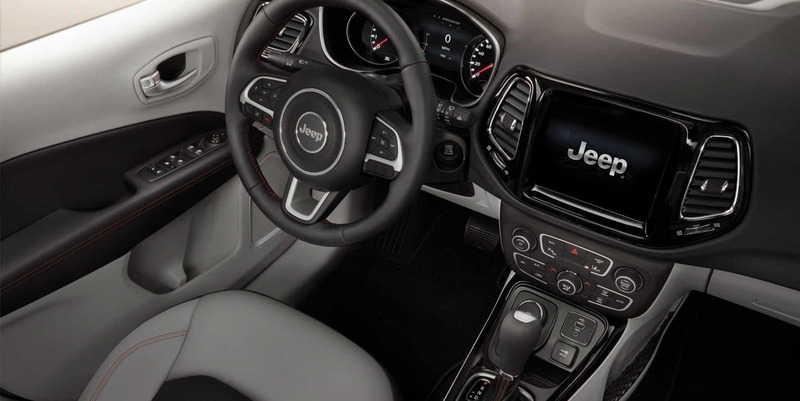 The Sport model starts off with standard features like Bluetooth connectivity to help keep your eyes on the road, 16-inch wheels, a six-speaker sound system, a rearview camera, air conditioning, a 7-inch central touchscreen, and the latest Uconnect infotainment system. The Latitude adds keyless entry and ignition, bigger wheels, and more option packages. 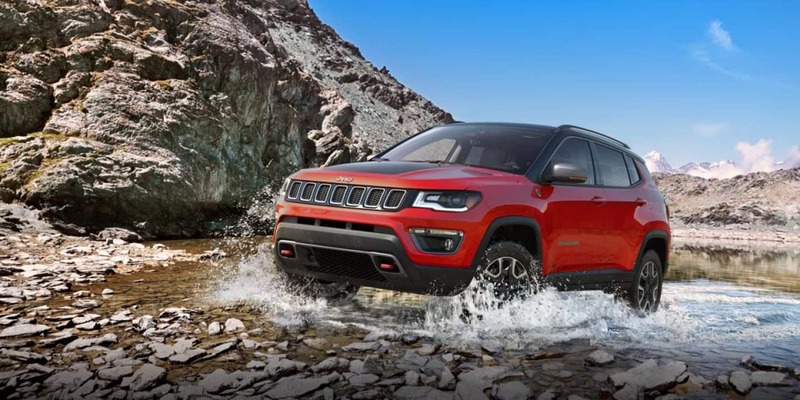 The Trailhawk takes the path less traveled with features like the off-roading tires, underbody skid plates, a raised suspension, and so much more! The Limited trim level comes outfitted with the largest touchscreen at 8.4-inches, smartphone integration, automatic dual-zone climate control, heated front seats, 18-inch wheels, and remote engine start. Can you tell me about the engine and transmission options for the 2019 model year? 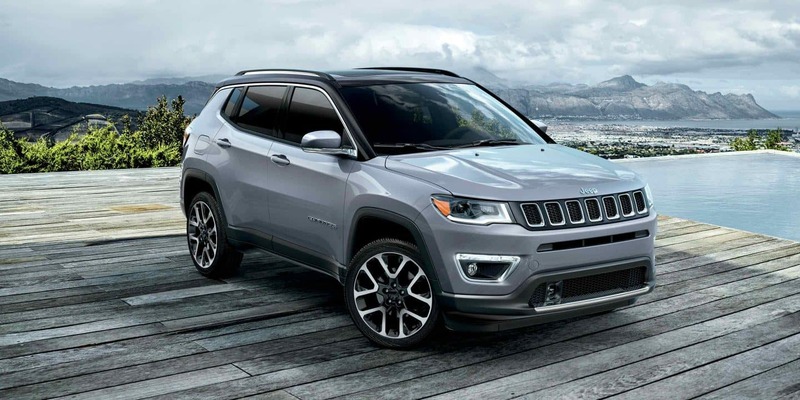 Each and every Compass houses the same engine underneath its hood in the 2019 model year. This incredible 2.4-liter Tigershark 4-cylinder engine boasts 175 pound-feet of torque and 180 horsepower. There are three transmission options available for this engine. A six-speed manual is standard for the Sport model and Latitude models outfitted with 4WD. You can pair this engine with a six-speed automatic transmission as well. 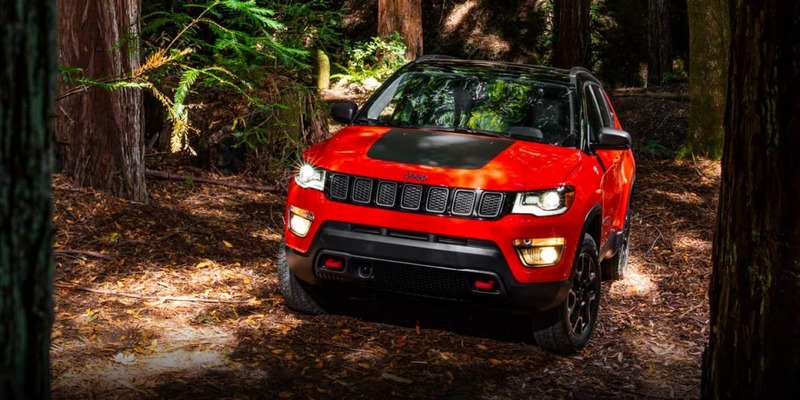 If you opt for the Limited or Trailhawk trims, this engine will be mated to a nine-speed automatic transmission. 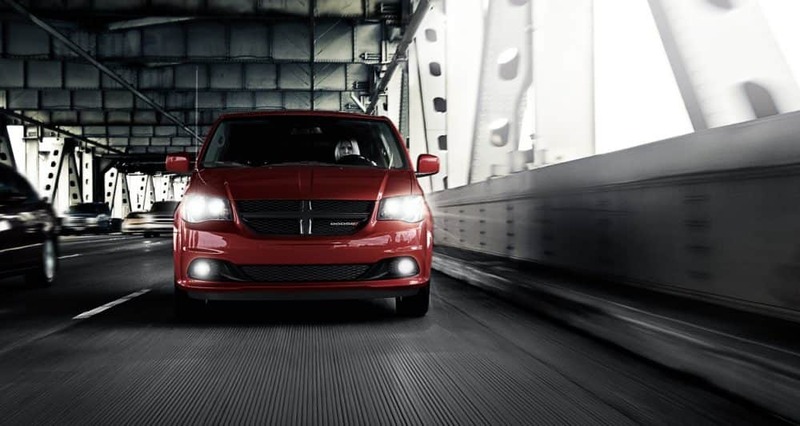 Depending on the drivetrain configuration and transmission, the Compass can reach between 30 and 32 miles per gallon on the highway. Plus, that fuel economy can be enhanced thanks to the engine start/stop technology (only offered with automatic transmissions) that stops the engine to save fuel during periods of idling! 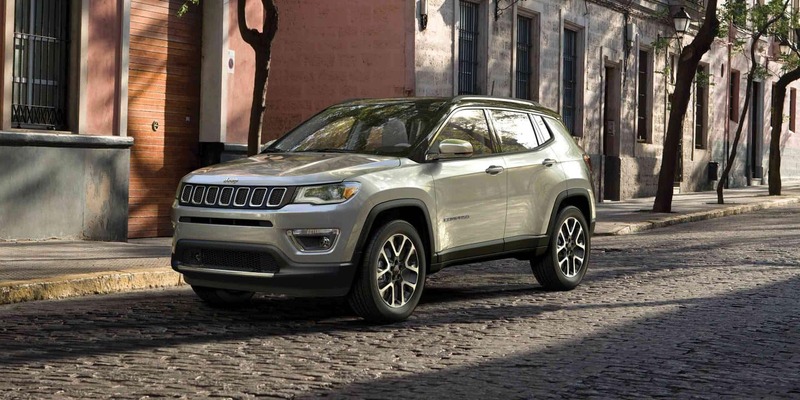 Is the Jeep Compass a safe SUV? The Jeep Compass is your bodyguard when out on the road! There are over seventy standard and available safety features offered in the 2019 model year to help keep you and your passengers safe no matter what you may encounter. Stand out features for the new model year include Full-Speed Forward Collision Warning with Active, Adaptive Cruise Control with Stop and Go, LaneSense Lane Departure Warning with Lane Keep Assist, and Blind Spot Monitoring and Rear Cross Path Detection. 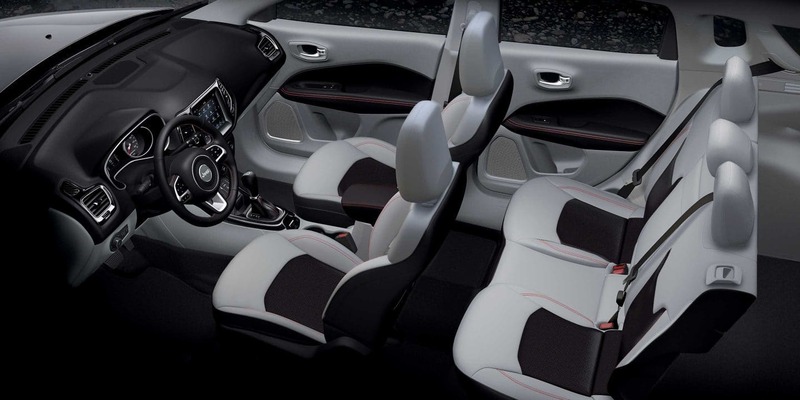 Other features you will come across include the standard rearview camera, the parking assistance systems, seven standard airbags installed throughout the Compass' cabin, and a frame made of high-strength steel that is engineered to direct impact energy away from the passengers inside. We love how safe the Compass makes us feel! 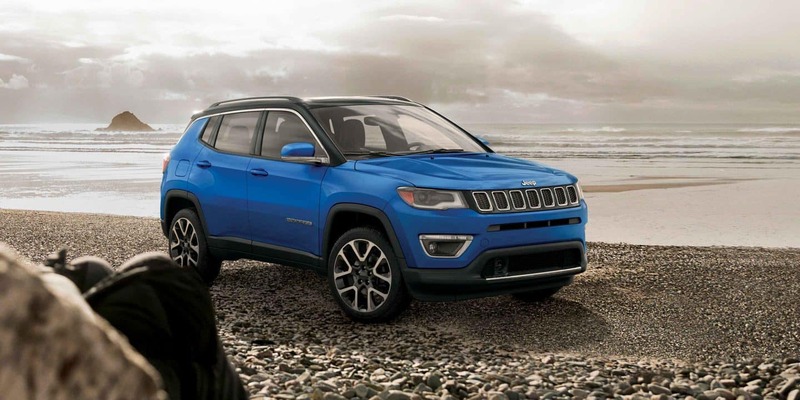 The 2019 Jeep Compass is ready to hit the road and help you brave new trails and take on new adventures! 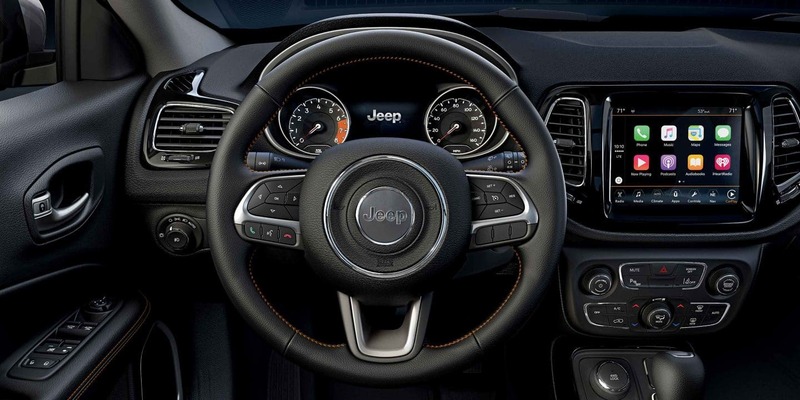 There is so much more you can learn about the Compass and you can do so by visiting our sales department at Marburger Chrysler Dodge Jeep Ram. 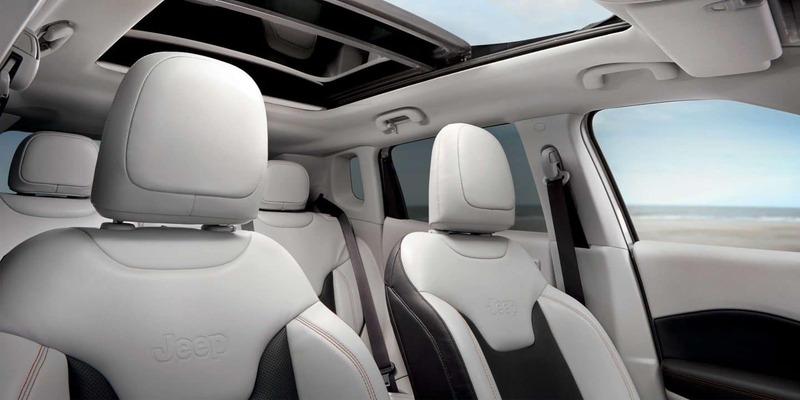 They'll take you on a personal tour of the SUV, let you try out all the great features from the rearview camera to easy to fold rear seats, and take you out for a test drive so you can experience this luxurious ride first hand. We cannot wait to work with you!